Joe Biz (Africa’s Rick Ross), Engager, Topsy Gaga, Rizz Gaga, Ezee,The Terminators, Big Jar, Jimjatto & more! Venue: The Prestigious ‘Club Ace’, The Place, Isaac John, Ikeja, G.R.A. 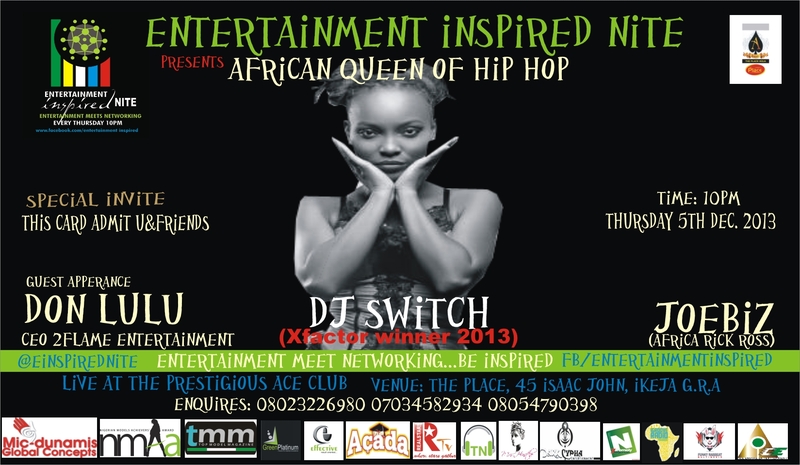 Come & Network With The Finest Bizness Guru’s,Industry Stakeholders, Media Personnel,Artistes, Beauty Queens & Super Models! !